The 39 newly promoted officers of the Nigeria Customs Service (NCS), Western Marine Command were on Thursday decorated, a statement issued by the Command’s Public Relations Officer, Mr. Emmanuel Gangway indicated in Lagos, adding that the officers were all promoted on merit. The Customs Area Controller (CAC) in charge of the command, Controller Sarkin kebbi, who decorated the officers in Lagos, advised them to put in more efforts. “You should see your promotion as a call to better service to the command and to the nation in general,” the CAC said. Two officers of the command were promoted from the rank of Superintendent of Customs (AC) to Chief Superintendent of Customs (CSC), three to Deputy Superintendent of Customs (DSC), while one was to Assistant Superintendent of Customs (ASC111). Others are Marine Inspectors of Customs (MICE) and Assistant Superintendent of Customs (ASC1). Kebbi charged the officers to sit up and report any negative happenings in the creeks and other beats. He reminded them that with the new ranks more was expected of them. The CAC said the whole process of the promotion was transparent and based on merit. Deputy Controller enforcement, Mr Adam Muhammed, advised the officers to justify their their promotion, saying some others that sat for the same promotion examination were not promoted. The Customs Intelligent Unit (CIU) also asked for unity of purpose among the marine and general duty officers of the command for efficient operation. In the meantime, manufacturers have expressed the hope that the proposed currency swap between Nigeria and China will go a long way in reducing their cost of doing business. Specifically, textile manufacturers are optimistic that importing raw materials from China with the Chinese Yuan instead of the dollars would cut cost by over 50 per cent. Expressing this optimism to our correspondent in a telephone interview on Wednesday, a leading textile manufacturer and Chairman, Gas Users Group, Manufacturers Association of Nigeria, Dr. Michael Adebayo, said that the currency swap might be one of the best decisions that the government had taken that would be of benefit to the manufacturing sector. Adebayo, who is the Deputy Director, Haffar Industries Limited, said that the major raw material for making fibre and yarn was imported from China and this constituted up to 50 per cent of the cost of production. He commended the government for its efforts geared towards relieving the cost burden on textile manufacturers, noting that the government had equally intervened in the issue of gas with the aim of making it affordable for practitioners. Earlier, the manufacturers complained about the cost of gas and the fact that Nigerians were paying for gas in dollar instead of the local currency. Adebayo said that the government was working to resolve the situation and possibly reduce the gas price for the textile manufacturing sector. The Director-General, Nigerian Textile Manufacturers Association, Mr. Hamman Kwajafa, agreed that the currency swap held a lot of hope for reducing cost of production. Imports from China would be cheaper, he said. He however regretted that the industry still had the problem of lack of patronage. According to him, the implementation of the procurement law that directs agencies of government to patronise local textile manufacturers in the purchase of materials for making uniforms is not effective. “We are not seeing patronage from government agencies,” he said, adding that to compound this situation, the influx of cheap textiles from Asia had made it difficult for operators to compete. On his part, the Managing Director, Woollen & Synthetic Industries Limited, Mr. P.K Pal, said that the firm had been enjoying patronage from government agencies, albeit not on a regular basis. 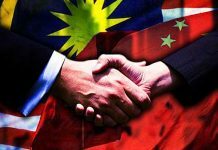 In the lighter mood: Malaysia’s reservation about Chinese investments!